Will the best Super Bowl “commercial” air at 5:51 pm ET? Jewel will will play country legend June Carter Cash in an upcoming Lifetime biopic, an original movie based on the memoir “Anchored In Love”. Placement Music was pleased to provide vocal production, mixing services and behind the scenes video production support for music supervisor Marianne Goode and the team at Lifetime. Placement Music proudly welcomes new artists to our roster – Collective Soul’s Will Turpin, The Dreaded Marco, Paul Warner, Perfect Project, Whizzercone, Lumanikus, K Michelle DuBois, L.A. Story, Tim Tucker, and von Grey! 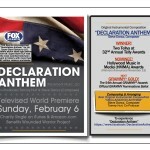 Winner of 2 Silver Telly’s our track “Declaration Anthem” is submitted for entry in 54th GRAMMY Awards! 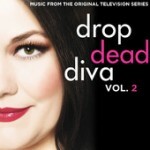 Placement Music Honored with Two Silver Telly Awards; Makes Music for Drop Dead Diva! 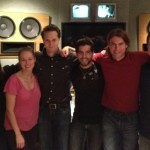 Placement Music places “Wake Up Call” (Johnny Andrews, Michael Wilkes, Elizabeth Elkins co-writers; Asyln – vocals) in Paramount Pictures, Mean Girls 2. With the forthcoming “official” launch of the Placement Music website, we had the fortunate opportunity to meet with several major television networks, sports properties, film studios and production companies last week in LA. The result… stay tuned!!! 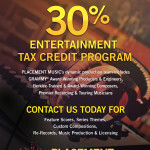 November 5, 2009 – Atlanta music industry gurus Tammy Hurt and Elizabeth Elkins announce the creation of Placement Music, a company specializing in the licensing, creation and placement of high quality music in films, television, gaming, advertising and all other forms of media. Atlanta, GA: Killer session at Southern Tracks Recording Studio yesterday with Placement Team members Russ-T Cobb, Mark Dannells, Kevin Spencer, Steve Moretti and Nick DiDia. Check out our new music on the website later this week. 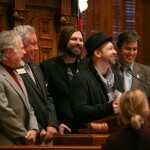 A great start to the new year!! We are proud to announce our very first licensing placement: Michelle Malone’s “Feather in a Hurricane” is a part of the soundtrack to the indie film ‘Rough Hustle’. 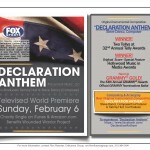 Our music – broadcast debut on ‘NFL on FOX’ – this Sunday! 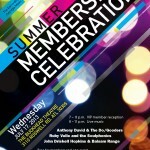 Tammy Hurt and Elizabeth Elkins will be attending the Atlanta Chapter “In The Mix” GRAMMY event tonight in Atlanta. KILLER meeting with the Placement Music writing team last night. Sessions are forthcoming. This is going to be REALLY good. Stay tuned. The placementmusic.com website is now live. 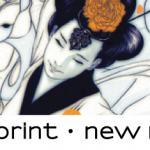 Stay tuned for additional news! 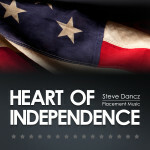 Welcome to the Placement Music Blog!